I AM FUEL, YOU ARE FRIENDS: "A Short List of Records My Father Threatened to Break Over My Head If I Played Them One More Time"
"A Short List of Records My Father Threatened to Break Over My Head If I Played Them One More Time"
One of the most enjoyable books I've ever come across is A Girl Named Zippy by Haven Kimmel. I tore through it, often laughing OUT LOUD in inopportune public places (you know, when you are reading something funny and you kind of guffaw and then catch yourself, stifle the laugh, and look around to see if anyone is watching?). 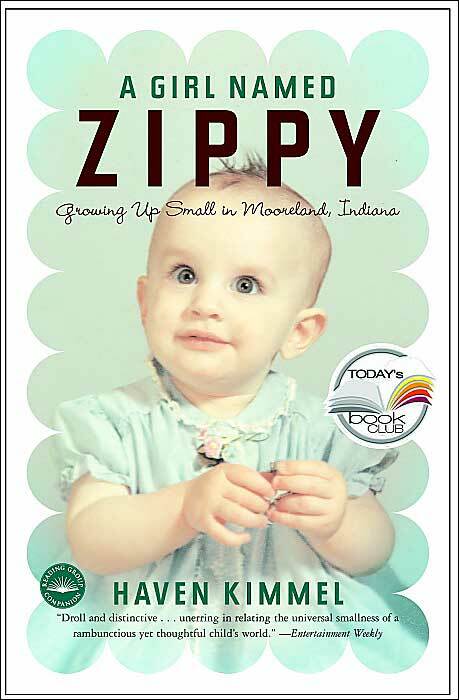 It's hard to explain what it is about, because it is really just what the subtitle says: "Growing Up Small In Mooreland, Indiana." It's an autobiographical collection of impressions, moments, memories, funny stories, dares, characters, struggles, and ephemera from the childhood of a unique & hilarious girl (nicknamed Zippy) as she goes about her days in the late '60s/early '70s in a very small town. Sounds like a totally touchy-feely Babysitters' Club premise for a book, right? But it is intelligent, well-written (she really captures the voice and the perception of herself at 7 or 8), emphatically NOT-schmaltzy, and funny as all get out. And also shreddingly poignant at times when you least expect it. I am currently ripping through her follow-up novel, She Got Up Off The Couch: And Other Heroic Acts from Mooreland, Indiana, and laughing just as much. I recommend both very highly - after I read Zippy, I bought like 7 copies and gave them out like manna from Heaven to my friends and family. Here is an excerpt from She Got Up Off The Couch. 1. "50 Ways to Leave Your Lover," by Paul Simon. 2. "Beep Beep (The Little Nash Rambler)," by The Playmates. 3. "Someone Saved My Life Tonight," by Elton John. 4. "Somewhere They Can't Find Me," by Simon & Garfunkel. In addition to "50 Ways To Leave your Lover," this was probably my most obvious theme song. It could have been written for me. The singer has done something terrible and now his only option is to sneak away: "Before they come to get me I'll be gone, somewhere they can't find me." Oh, indeed. How very, very true. 5. "He Ain't Heavy, He's My Brother" by the Osmonds, featuring Donny Osmond. A lie, as anyone who knew my brother could attest. But if it was sung by Donny Osmond I could try to believe. I wanted to believe. This was a favorite to play not at top volume in my bedroom, but downstairs on the stereo that was shaped, improbably, like a Colonial desk. I liked to sing along with Donny (we had the same voice) while simultaneously pretending to draft a version of the Bill of Rights, using a fake quill pen. (In truth, a turkey feather.) This was a combination of activities my father found interesting, blasphemous, and wrong. 6. "Along Comes Mary," by The Association. A wordy song. 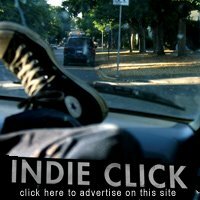 A wordy, psychedelic song, the meaning of which has never been determined by humans. Tailor-made for me. From the beginning, the song's just one long puzzle. "Every time I think that I'm the one who's lonely someone calls on me." Who? (Mary, my sister would explain through clenched teeth. Yes, but Mary who?) What follows is so unusual it doesn't bear repeating, although I most assuredly could. 7. "I Started A Joke," by The Bee Gees. 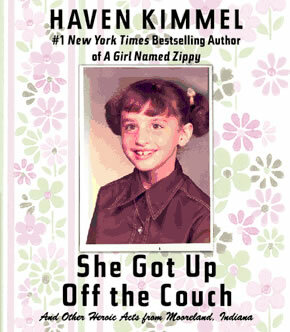 Buy A Girl Named Zippy here and She Got Up Off The Couch here, or visit your local library. (Ooh! I feel so Reading Rainbow! LeVar Burton would be proud - These are books you might enjoy, but you don't have to take MY word for it!). oh my god, it's like the bookmobile came to my apartment. Thanks for the tip, my library does have the zippy book and now I have it on hold! hey heather - good to see that you're staying connected to KSCU.. do you stream online? i am a newbie at the station and am loving it so far!! i'm actually a grad student at stanford, but prefer KSCU's laid back culture and music to KSZU..
i can totally send you a copy of my FINALS mix #2. can you e-mail me your address? i'll get it to you ASAP!! thanks for tuning in! i seriously love your blog. it's creative and has great songs. keep up the good work. i need to start puttin' up/getting into more classic rock, perhaps with some help. This is so weird! Earlier today, I posted two of my favorite parts of Kimmel's Couch book (so far...I'm only on page 180). As I logged out, I noticed the Blog Search feature and used it to see if anyone else mentioned this book, and you had shared another hilarious part. I was amazed how many Kimmel fans there are in the blog world. Great post!